Our research question is "What is a Fractal, and what are three common applications of fractals?" Basic Research: There are many Fractal examples found in nature. Mother Nature uses fractals in nature to increase the surface area's exposure to sunlight. This fractal is really good with cheese. Possibility for applied research is looking at broccoli. Hypothesis: Increasing fractals will increase the amount of exposure per surface area. Criteria for support of Hypothesis: Three out of five sources will support increasing fractal surface area increases exposure. Source2 - (Support)Fractalfoundation.org - Increases the fractal on woven steel bridge ropes increases the strength of the rope. Source 3 -(Support) Kluge.in-chemnitz....-Increasing the fractals used for images increases the pixels. 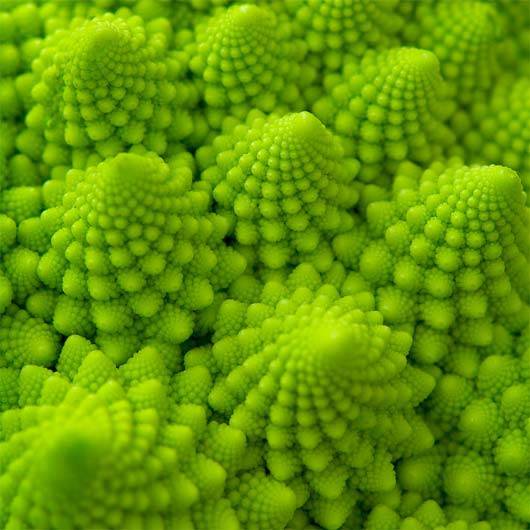 Source 4 -(Support) Fractal zone - "Reducing the fractal-shape of an antennae reduced the size and weight of the antennae"
Compare fractals found in nature, like brocolli, and determine how much moisture they can hold.